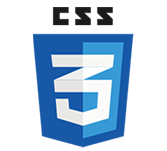 The text-overflow property of CSS3 determines how overflowed content that is not displayed is signaled to users. What is CSS3 Word Breaking? CSS3 Word Breaking is used for breaking the line. Below code explains the sample code for word breaking. What is CSS word wrapping? Word wrapping is used to break the line and wrap onto next line.